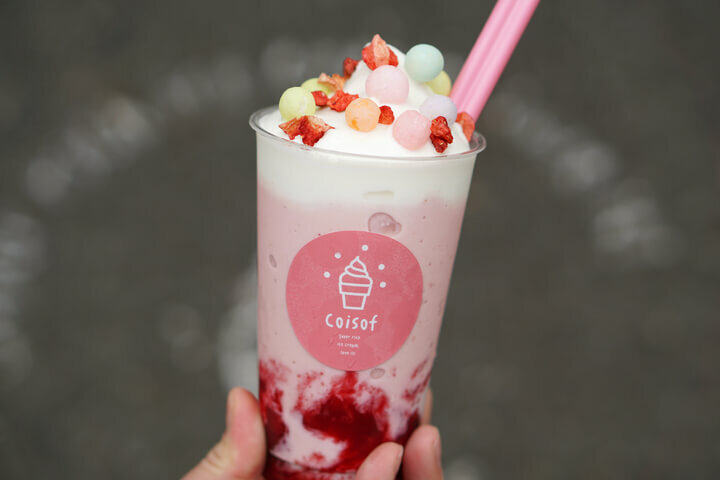 Coisof is a popular sweets shop in Harajuku, and they’ve just released a gorgeous looking strawberry shake just in time for spring. 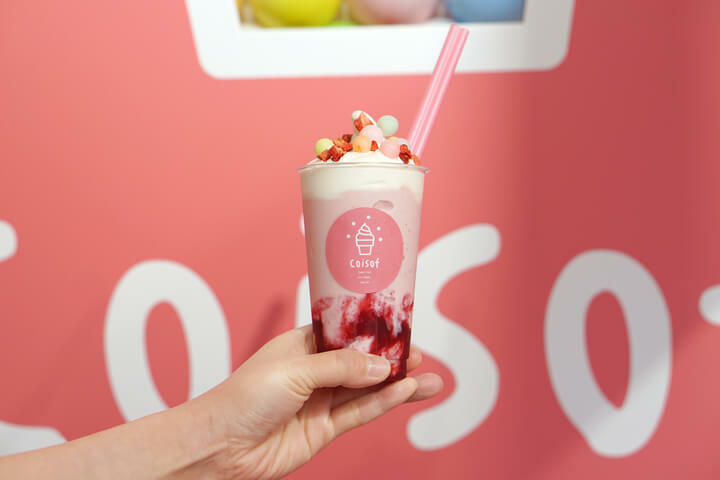 The Strawberry Coi Shake combines sweet and sour strawberries with the shop’s popular milk soft serve ice cream. Its light pastel pink and oiri marbles make it a perfect beverage to boast on your social media! Enjoy the crunchy texture of the colourful oiri with freeze dried strawberries. 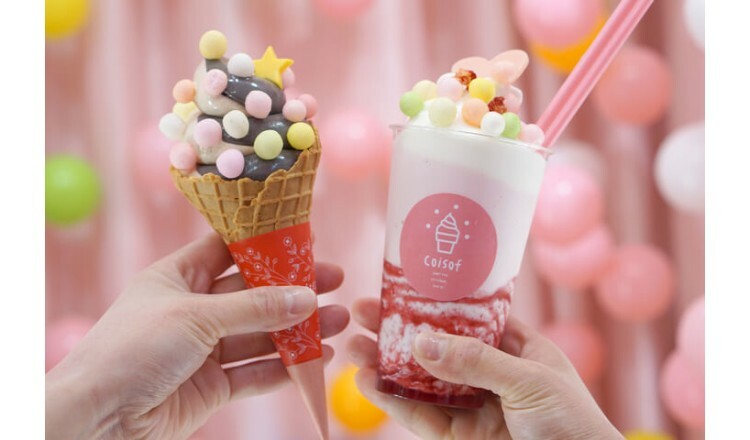 Also, to celebrate the release of the new product, if you buy the shake together with the Coi Soft ice cream, you can get a mega-size serving of toppings! 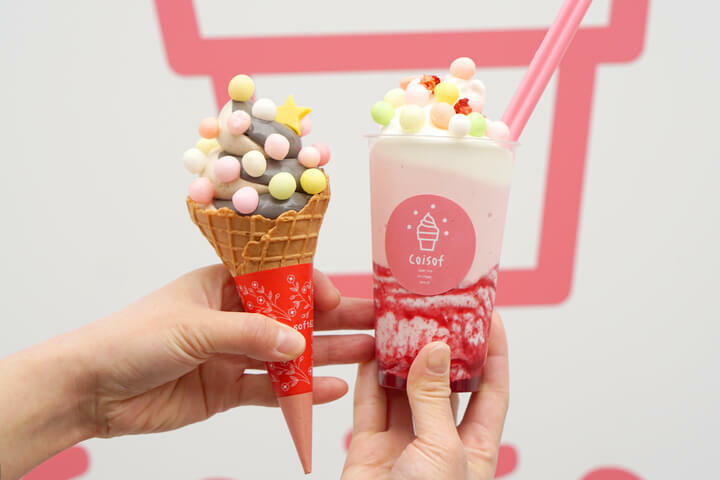 Check out the cute new products at Coisof.